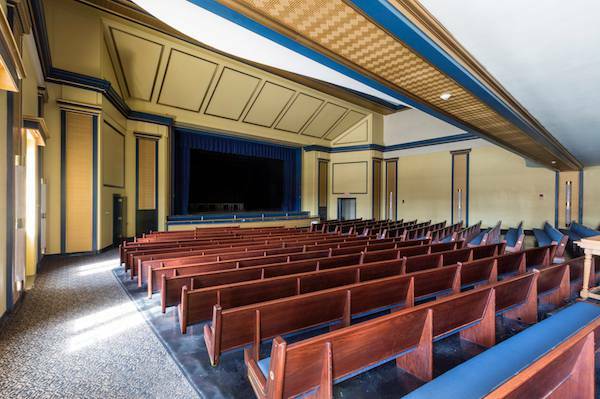 In addition to the mid-sized Main Hall with its large stage and seating capacity of 3,866, Soldiers & Sailors Memorial Auditorium also offers the intimate Walker Theatre upstairs from the main level, with a seating capacity of 851. This proscenium stage theater is accessible by escalator and elevator from the main lobby, and is completely self-contained with its own restrooms, dressing rooms, concessions and lobby area. The Walker Theatre has been used for children’s theater productions staged for school groups, dance studio recitals, film screenings, church services and spoken word programs. Parking Parking lot and street parking available.